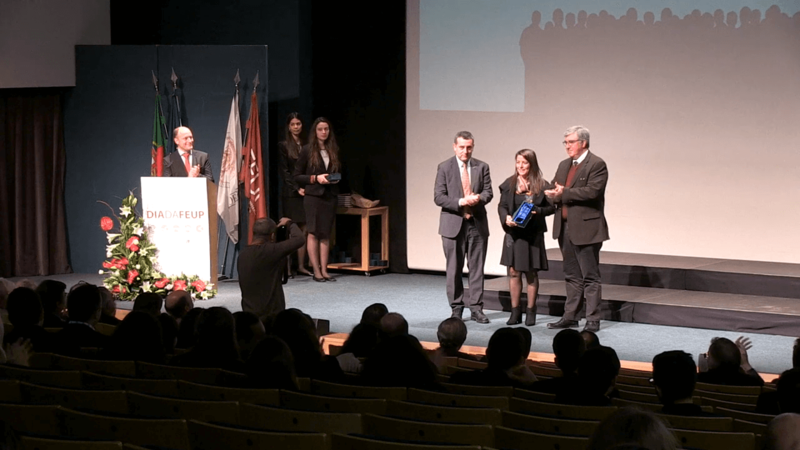 Twenty-three INESC TEC’s collaborators were distinguished at the Day of the Faculty of Engineering of the University of Porto (FEUP), which was held on 14 January. Besides the acknowledgement to business partnerships and to student organisations from FEUP, there were tributes to those that already retired and to new PhD students. Performance awards, pedagogical and scientific recognitions and pedagogical and scientific excellence awards were given, among others. The programme was attended by the Minister for the Environment, João Pedro Matos Fernandes, along with the Rector of the University of Porto, António Sousa Pereira and the Dean of FEUP, João Falcão e Cunha. FEUP’S Day takes place once a year, aiming at distinguishing and valuing the role of the Faculty in the professional and personal success of current and former students, professors, researchers and technicians. The researchers mentioned in this news piece are associated with UP-FEUP.